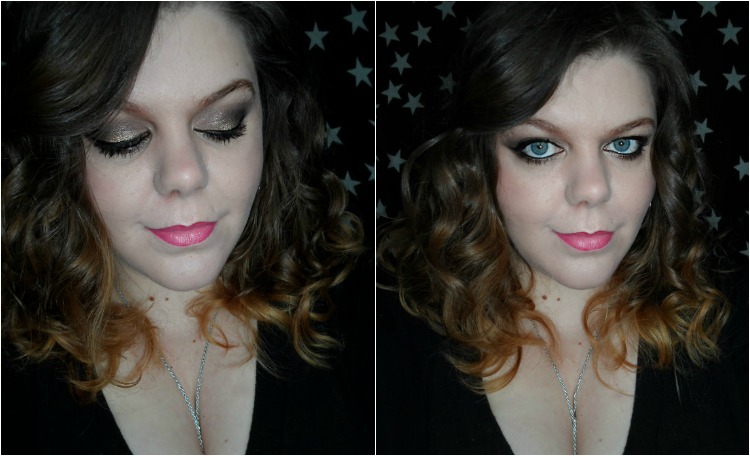 Sophsterlicious • UK Blog: Beauty Look Book: Stormy Smoke | Melovemakeup. Beauty Look Book: Stormy Smoke | Melovemakeup. I have an actual recent Beauty Look book today. This was Saturday's makeup. I pulled out one of my Sleek Makeup Palettes with my eyes closed, I ended up with the Storm Palette. I actually forgot how much I love this palette! It is so awesome for so many different looks. I didn't know what I was going to do, but this is what happened, it's just a smokey look with some gold/bronze. I honestly think I could go away for a week and just use this palette, it's so lovely. I hope you liked the look.. Sidenote, I re-ombred my hair after having the old lot cut off! I may do a post about that sometime soon, my last ombre post is super popular. I love this makeup and you have some beautiful eyes! Very nice makeup and the name "Stormy smoke" sounds great! What a nice makeup that looking so gorgeous. I like it. Your 1st picture is looking so nice than 2nd one specially two eyes. Bye Bye Google Reader + Other Ways To Follow! Random Swirls - a NOTD.